Made For Sharing, Made For Smiling! A Fruit Blog With Taste! 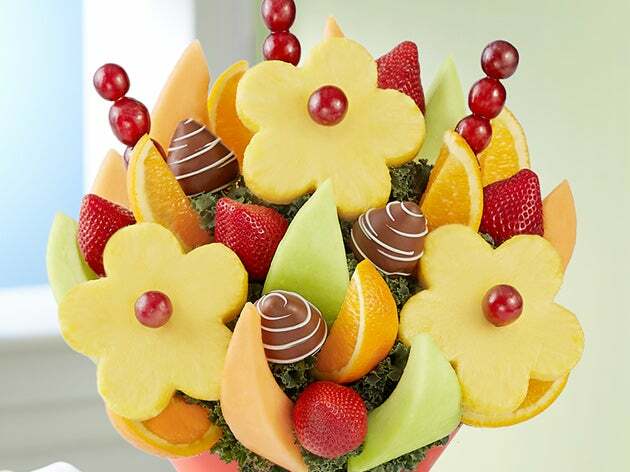 FruitBouquets.com offers a delicious assortment of fresh fruit arrangements and chocolate dipped fruits that are sure to deliver a smile! Each fruit arrangement is hand crafted with the utmost of care and with the freshest fruit to deliver a 100% smile guarantee. Our talented designers have been trained to make sure each fruit arrangement looks and tastes good enough to eat! Whether you're looking for birthday fruit arrangements or to send a gift just because, we offer the perfect gift for all occasions. 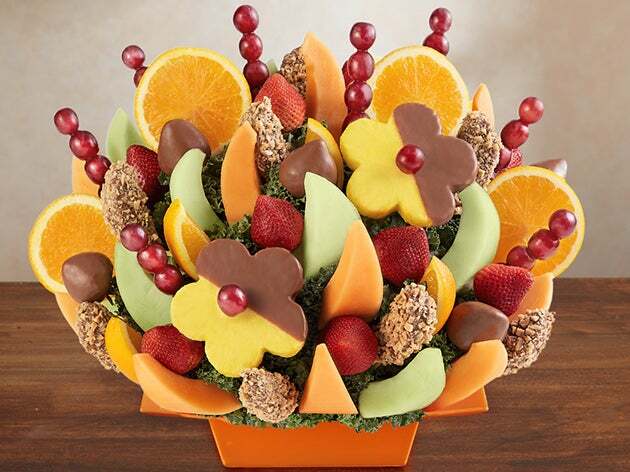 There's always a reason to send a fresh and delicious fruit arrangement! 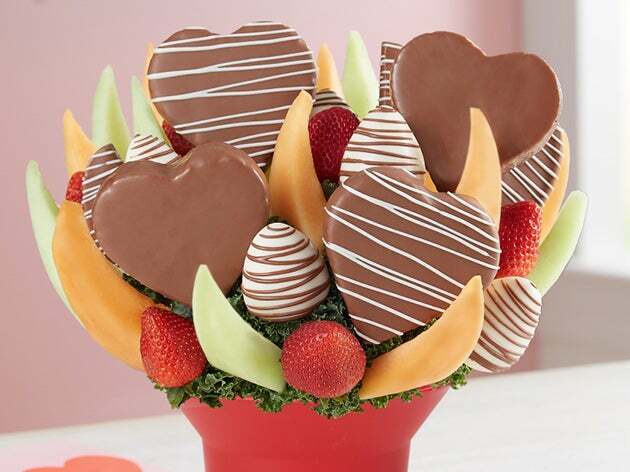 Surprise someone special with a same-day fruit arrangement across the United States. 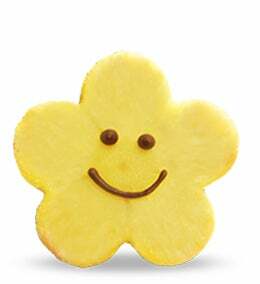 Our truly original fruit creations use only the freshest of fruit and are handcrafted with everyone’s favorite fruits from juicy strawberries and ripe melons, to sweet pineapples and plump grapes! Perfect for all occasions no matter the location, if you need a gift today, FruitBouquets.com is the perfect choice! Whether you are looking for a romantic anniversary gift or to send a gift just because, that special someone is guaranteed to smile at your special delivery! We also carry a wide variety of sympathy fruit arrangements to send your love and express your deepest sympathies during a difficult time. FruitBouquets.com ensures that all fruit arrangements are delivered fresh and on time with a 100% smile guarantee. Same-day delivery is available everyday during all seasons, and even on most holidays. For same-day delivery fruit orders, simply purchase the fruit arrangement by 1:00PM in your recipients time zone on weekdays, 12 noon on Saturday, 11:30am on Sunday (in select areas). If you have any questions or would like to place an order via telephone or on your mobile, call 1-800-356-9377 and speak with one of our exceptional customer service representatives. We promise to help you find the perfect fruit arrangement to celebrate any moment in your life. 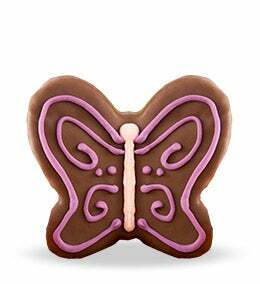 Looking for a rich gift for the chocolate lovers in your life? 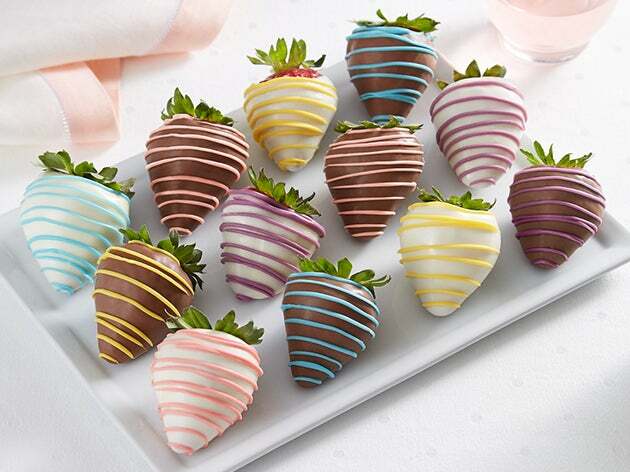 Chocolate covered strawberries and dipped fruit from FruitBouquets.com have the perfect mix of the fruit of your choice dipped in all-natural premium chocolate. 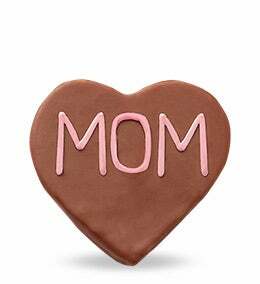 From chocolate covered pineapples in the shape of hearts to rose shaped chocolate dipped berries, your lucky recipient will thoroughly enjoy every last bite of your thoughtful gift. Not only is fruit delicious, but it is nutritious, too! Vegetables and fruits are part of a healthy daily diet and can reduce the risk for heart disease including strokes and heart attacks. Fruits are all natural and are naturally cholesterol free. Oranges and other fruits high in vitamin C help keep body tissues healthy, while bananas and other fruits high in potassium help maintain a healthy blood pressure. To read more nutritious fruit facts, check out our article, The Health Benefits of Fruit.